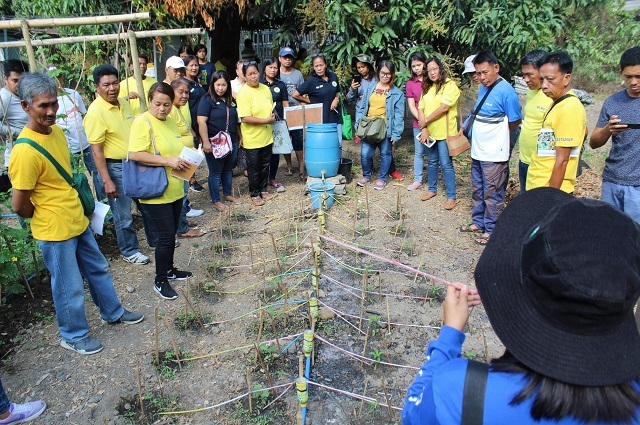 Farmers in Zaragoza, Nueva Ecija had localized the technologies gained from a four-month Farmers’ Field School (FFS). 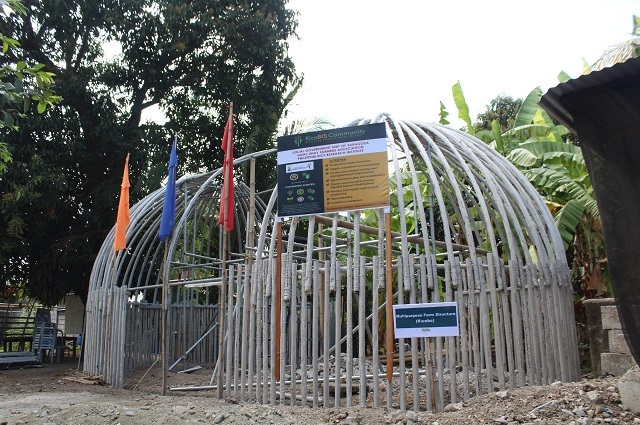 Ugat-Uhay Farmers Association showed off their own farm structures in a recent FFS graduation ceremony. The season-long training introduced newly-released inbred and hybrid rice varieties, Kwebo, and Capillarigation. 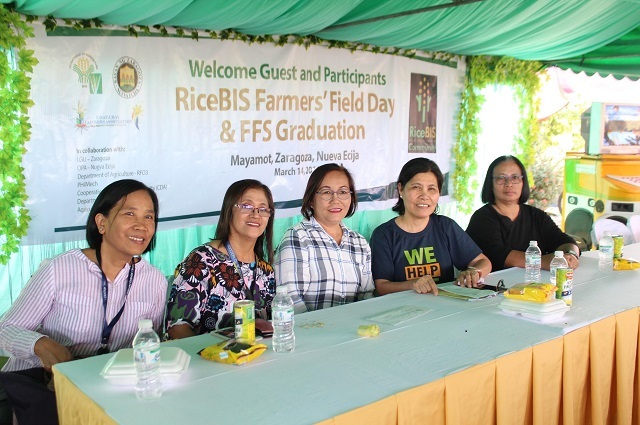 Farmers, partners in the Rice Business Innovations System Community Program (RiceBIS), also identified rice varieties suitable in their area. DIY storage. Kwebo, from Filipino words – kweba (cave) and kubo (nipa hut), is a farm structure designed like a nipa hut, but is durable like a cave. After construction, farmers in the village would use it to store rice-based product such as mushroom. Easy-to-install, cheap water system. Capillarigation, a low-cost irrigation system, that uses capillary wicks instead of drippers, provides stable water supply with reduced leaks and filtration. 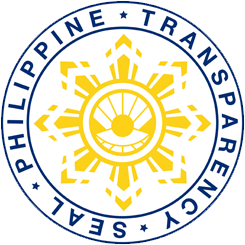 Plastic straws and bottles are used in fabricating the system. Integration. 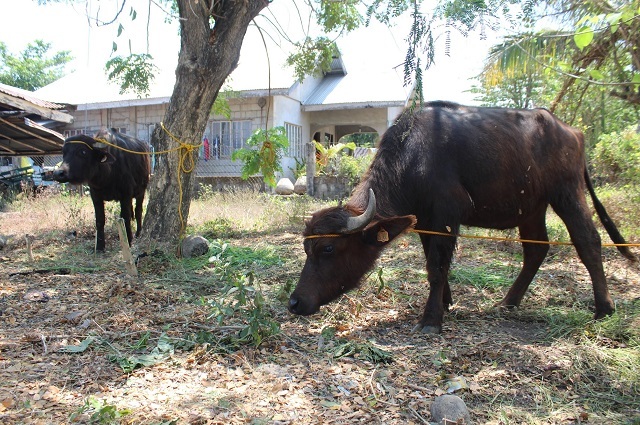 Members of Ugat-Uhay Farmers Association and Pinagbuklod na Adhika Agricultural Cooperative tend Sai and Tricia, the buffalos from Philippine Carabao Center. 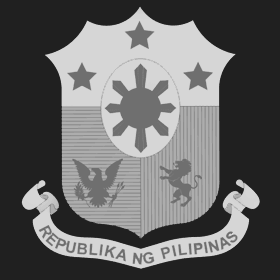 Sai was named after PhilRice acting executive director, Sailila Abdula, while Tricia’s name was from the phrase “pang-three siya”, being third among the siblings. 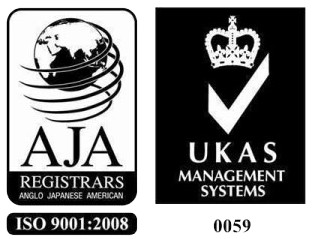 Which among them is best? 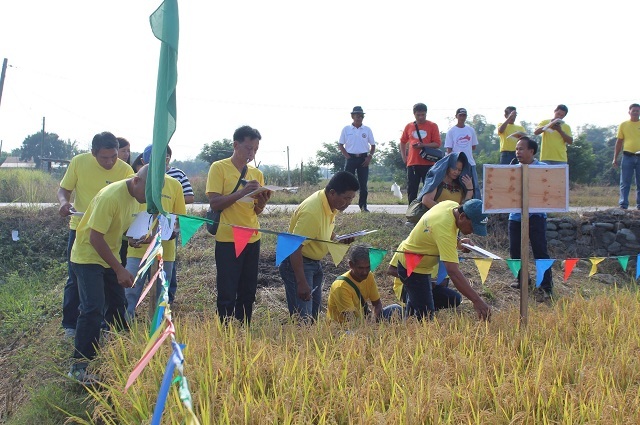 Farmers evaluated the rice varieties showcased in their village, which include NSIC Rc 238, 300, 400, 402, 438, 440, and Mestiso 20. Progressive farmers. 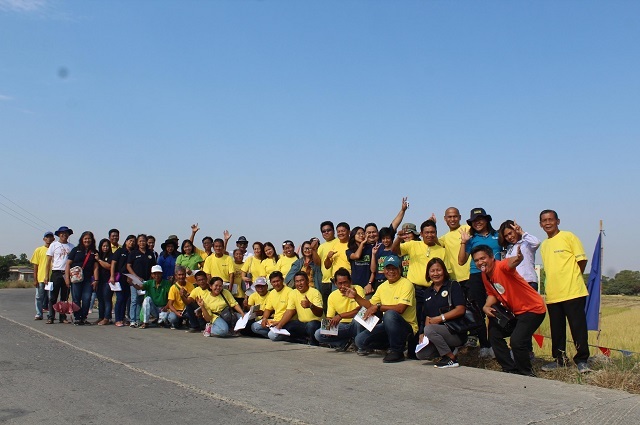 The 33 RiceBIS farmer-graduates are joined by Pinagbuklod na Adhika Agricultural Cooperative, a neighboring group.